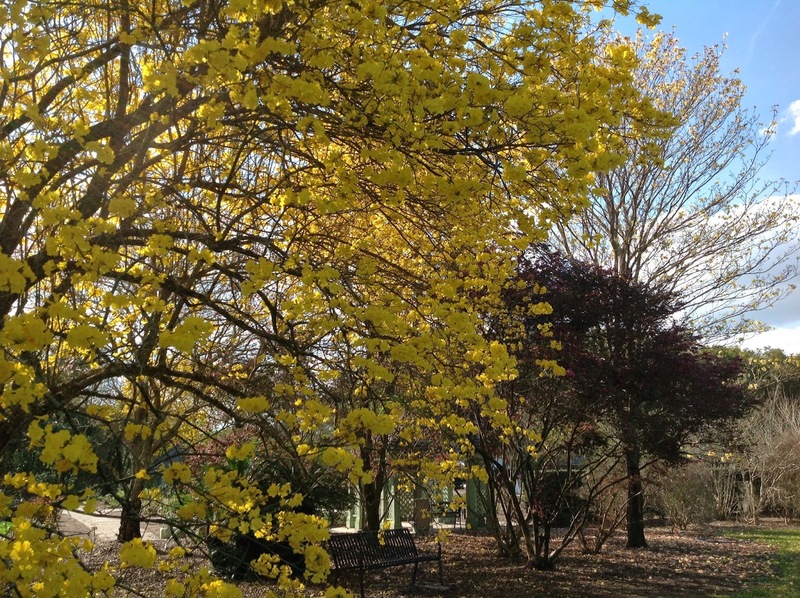 We are back from a crazy busy show at Leu Gardens last weekend and must tell you, the blooming yellow Tabebuia Trees in the Garden were just jaw dropping. Try as I may, I could not get a good shot, I think because they are just so huge ! We are blessed with a great turnout, great sales and came home raring to go for more shows. This weekend, we have 2 special things happening. First, Saturday Morning Market, downtown St. Pete, moves onto Central Avenue just for this weekend, due the Grand Prix Car Race preparations. It will be like old home week, reminding us of our past when Market was on Central every week for 4 years. This weekend, the market vendors will be set up on Central, from 1st Street to 3rd Street North, plus up and down 2nd street (think of it as a large Cross of vendors! )...Armstrong Nursery will be smack in the middle of Central and 2nd street just off the food court area. We are excited to be part of the action and can't wait to bring some large gorgeous Bougainvillea to brighten the intersection. Market hours are the same, 9am - 2pm, and we will have an area arranged that you can easily pick up your plant purchases. Parking is easy as we are surrounded by parking garages and side street parking - just don't forget to pay attention to parking signs as far as time limits etc. Where: 1331 39th Avenue North (corner of 14th street and 39th avenue north, just off the main drag of 38th avenue north), the neighborhood is just west of the Allendale area. When: Friday, March 20th and Saturday March 21st, 9am to 5pm. Friday-Sat-Sun, March 27-29, Spring Plant Sale at Tropiflora Nursery, Sarasota. The people at Tropiflora will have their own stock on sale, plus 25 plus vendor friends from around the state, will be set up on the Nursery party. Always a popular show, it's free to get into, free parking, music and food and they have carts available to use. check out their website at: Tropiflora.com for info. Saturday - Sunday, March 28-29, Greenfest! in Tampa on the Univ. of Tampa grounds. Another popular event with the locals, this beautiful setting right on the waterfront of downtown Tampa will host 100 plus vendors from around the state. Free parking nearby and they make it easy to drive up to pick up your purchases. Armstrong Nursery will be located towards to the back of the event, near the water, just look for us and our Hollyhocks !